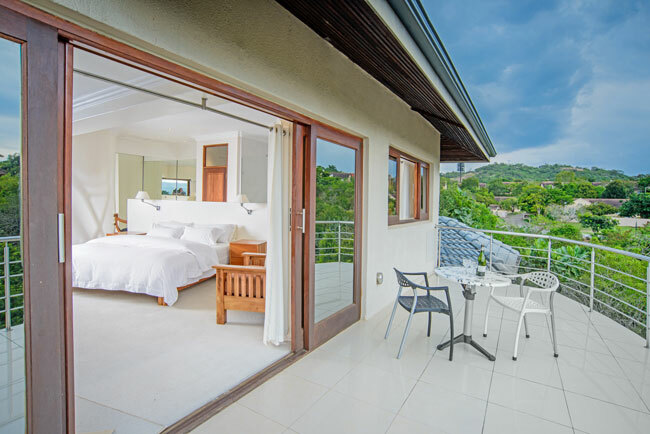 This is the grandest luxury room in the whole of Nelspruit, fit for celebrities and VIPa��s. 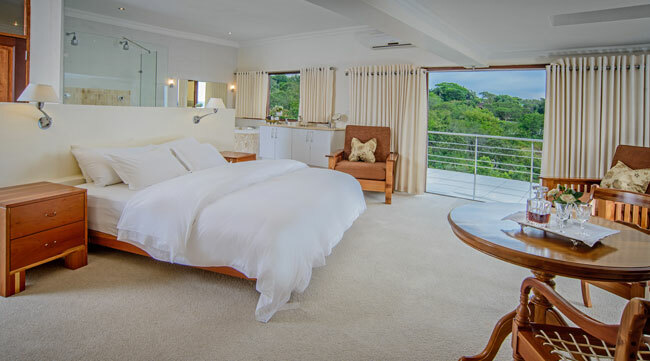 The 50m2 living space has full floor carpeting and an extra long king size bed. 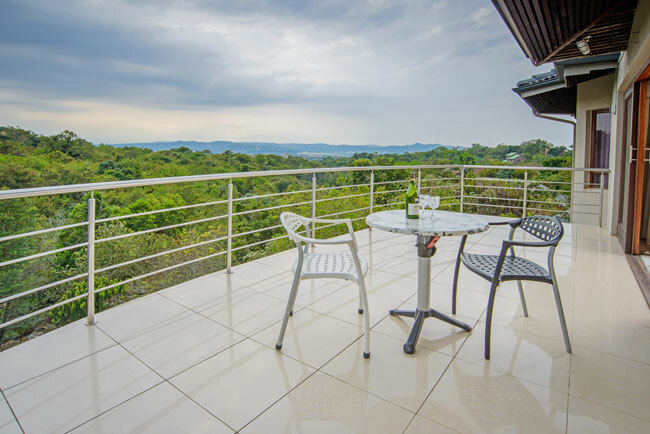 There is a large balcony were one can enjoy exceptional views over the indigenous forest and Nelspruit beyond. 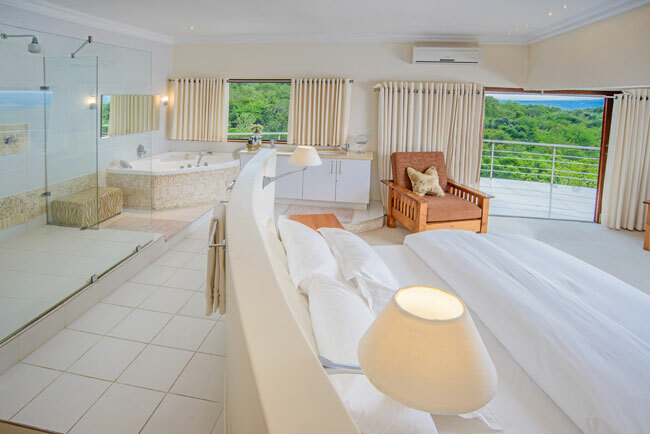 The room has a large dressing area with full floor mirrors. 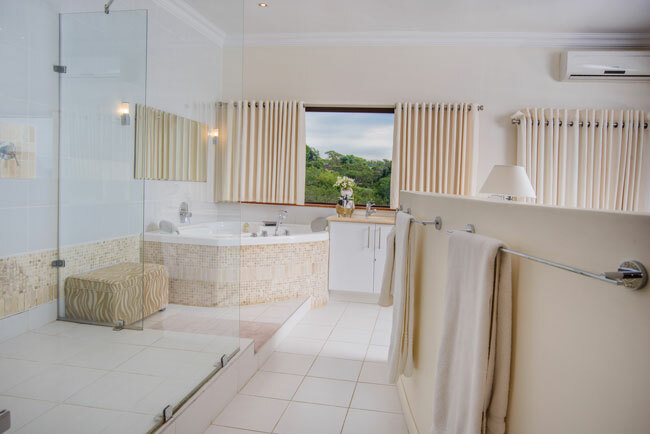 The open plan bathroom is equipped with a jet bath, double basins and a double shower. The toilet is separate and enclosed.